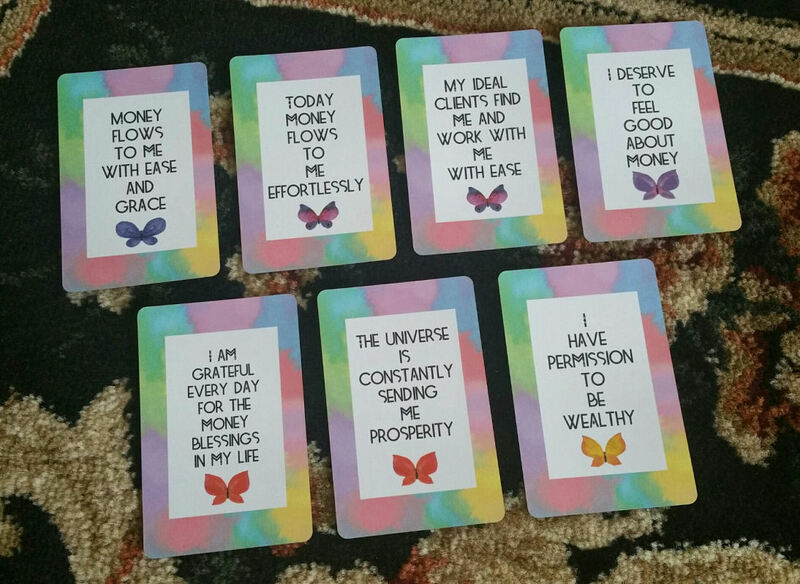 The Money Magic Manifestation Cards by Ethony is an exquisite deck of 48 affirmations that calibrate your mindset toward attracting abundance, financial security, and professional success into your life. It’s a comforting candy deck that’s also good for your soul. Pocket-size yet powerful, the amazing Ethony personally charges your copy of the deck under the full moon before it gets delivered to you. If there’s one person I’d trust for money magic and to learn money magic from, it’d be Ethony. Her amazing juju certainly rubs off on each and every one of these decks and to receive one and work with it for your own abundance attraction process is going to be impactful. The cards come in this beautiful matte keepsake box with a magnetic clasp that opens from the side. I love the prismatic rainbow wash card back. 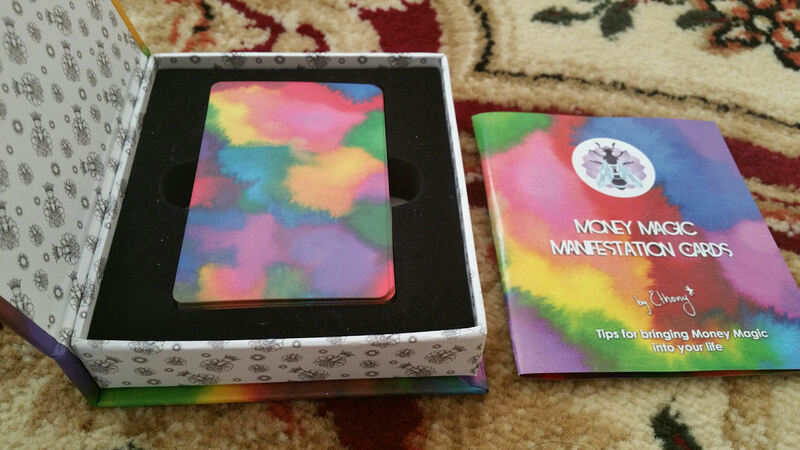 There’s no little white booklet, but the deck does come with a glossy two-page pamphlet that offers some tips for performing your own money magic. The cardstock is sturdy, high-quality, as only Ethony would bring, and has the kind of matte finish I like. 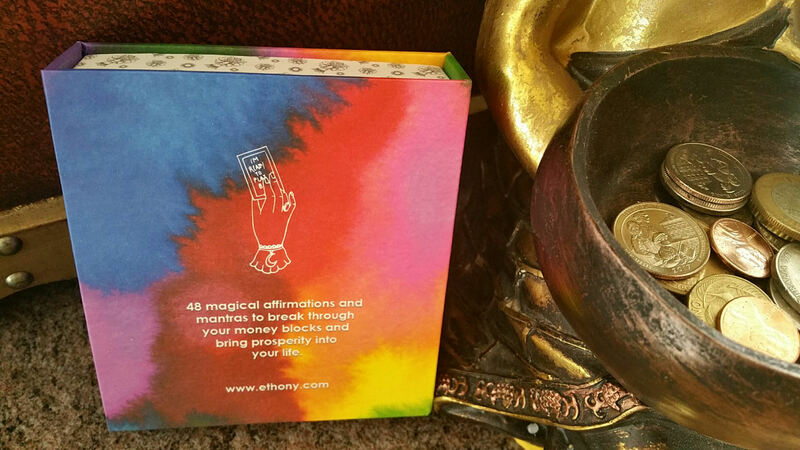 Work with the deck through the affirmations, use it as a daily oracle draw, or as manifestation partner cards, a concept that Ethony explains as essentially using the cards as talismans. 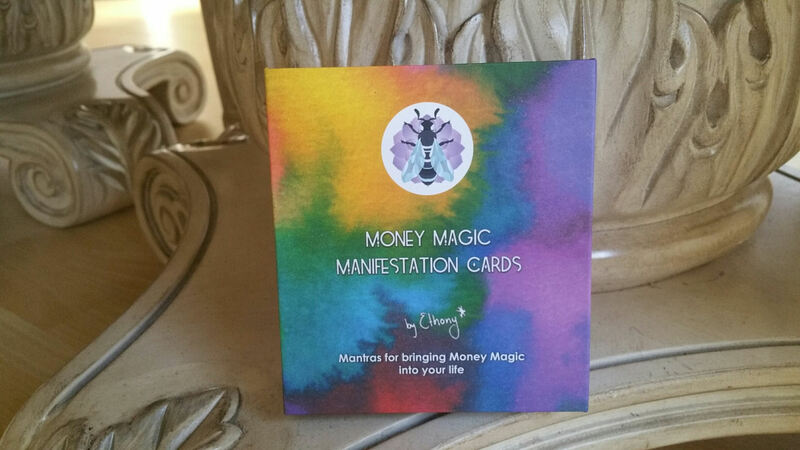 They’re small enough to tuck into a clutch wallet, so if you’re actively working with money manifestation, then carry one with you at all times as a magnet for attracting the abundance and opportunities you seek. 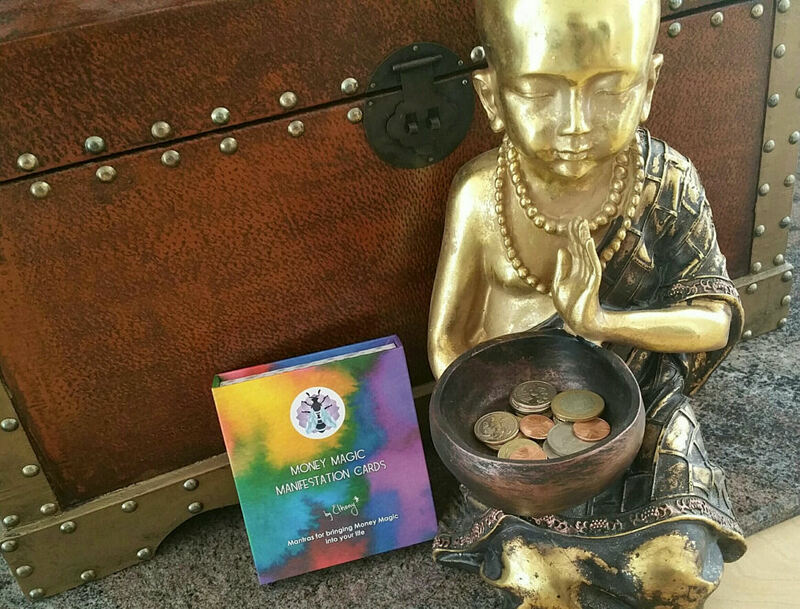 Integrate the affirmations as recitations in your money magic or if you observe feng shui principles, then include them in your prosperity bowl or displayed in the southeast corner of your home, the area corresponding with wealth, assets, money, and financial success. 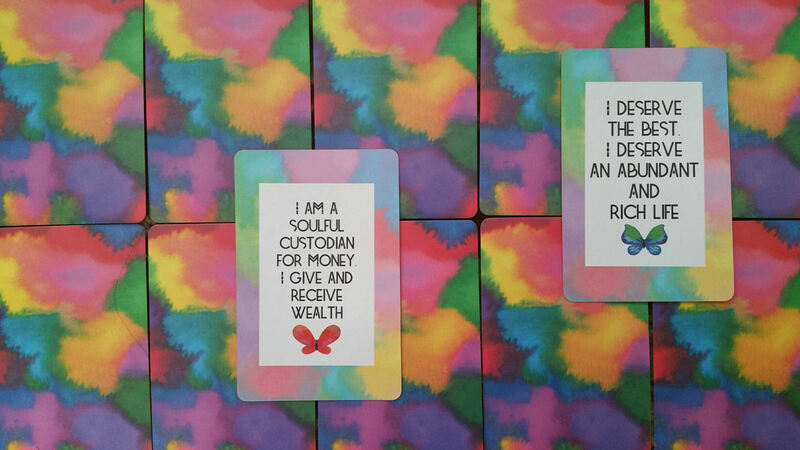 You get a total of 48 affirmation cards that really do seem to take on a life of their own, and so they really will be an empowering manifestation partner to help you achieve your financial goals. I admit in my personal practice I’m not big on pretty in pink affirmations and am kind of that glowering party pooper who thinks the heavy emphasis on saccharine sweet positive thinking can be a bit of a sham, but there is something endearing about this deck that wins me over. “I am blessed with unending abundance.” Nice! That was the first card I pulled after charging and shuffling my copy of the Money Magic Manifestation Cards. The details here also win me over. I love the font type used in this deck. The pastel rainbows and butterflies do have an occult purpose here, too: they ward the cards and you, safeguard you with this inexplicable shield that’s warm molasses on your aura. You can really feel the protection encoded into the aesthetics of these cards. 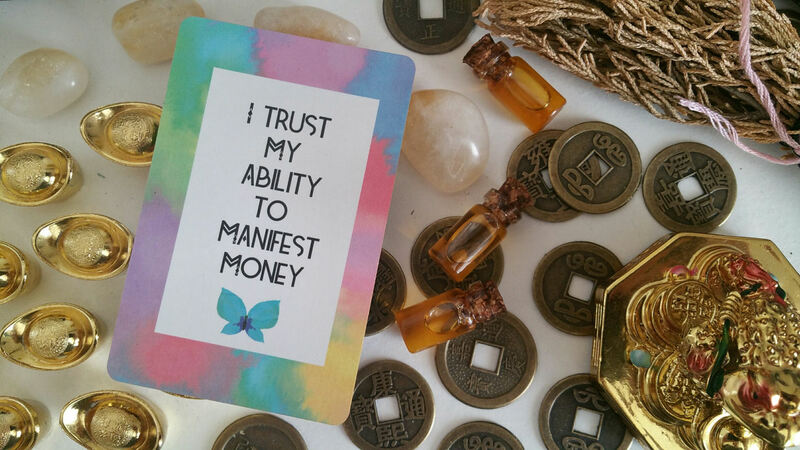 It allows in financial success, wealth, and material abundance, but can filter out the negativity to an extent, helping you safely develop a healthy relationship with money. 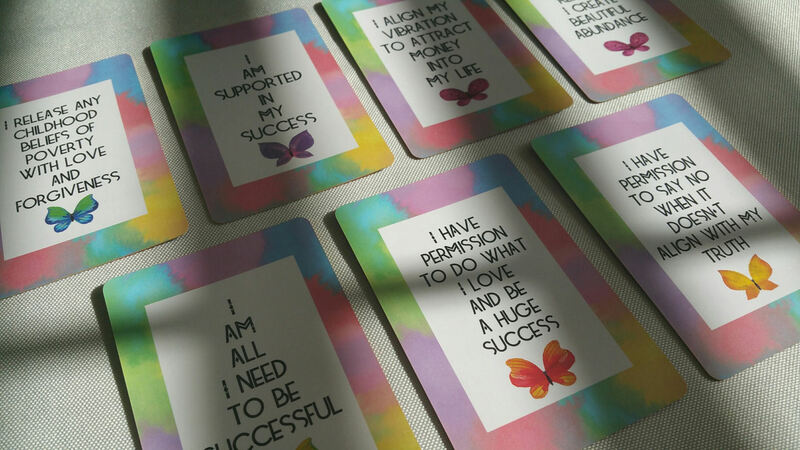 Ethony recommends pulling one of these affirmation cards every morning along with another daily card draw from a tarot or oracle deck, and then placing the pair of cards on your altar, alongside mala beads. That simple yet effective daily magic helps generate a rich field of success in your environment. 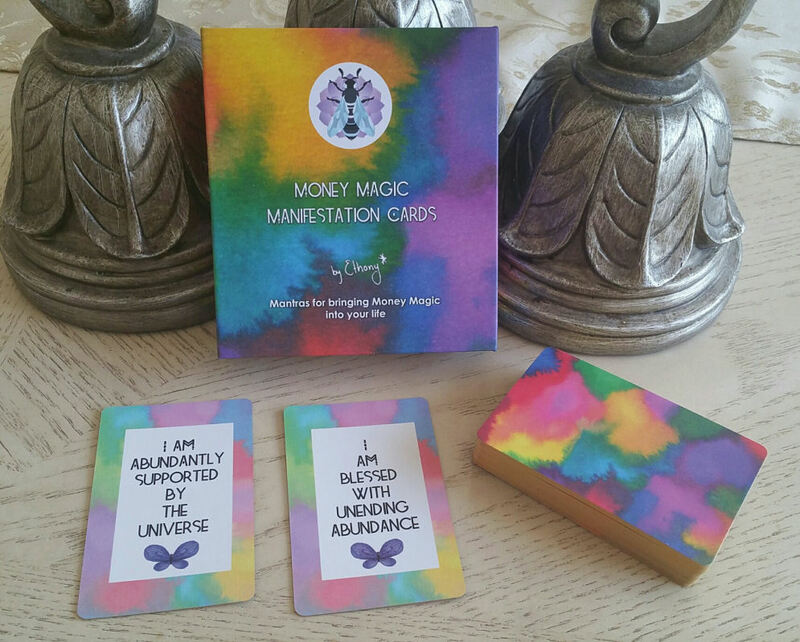 You can order your copy of the Money Magic Manifestation Cards from Ethony here, and also read more about it. I really like these! Thanks for sharing! I’ll have to see if I can find them in a shop sometime.